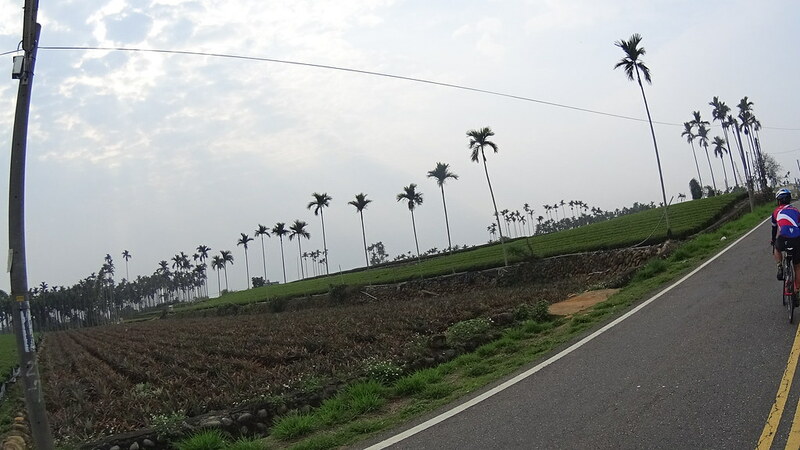 Like My Post? 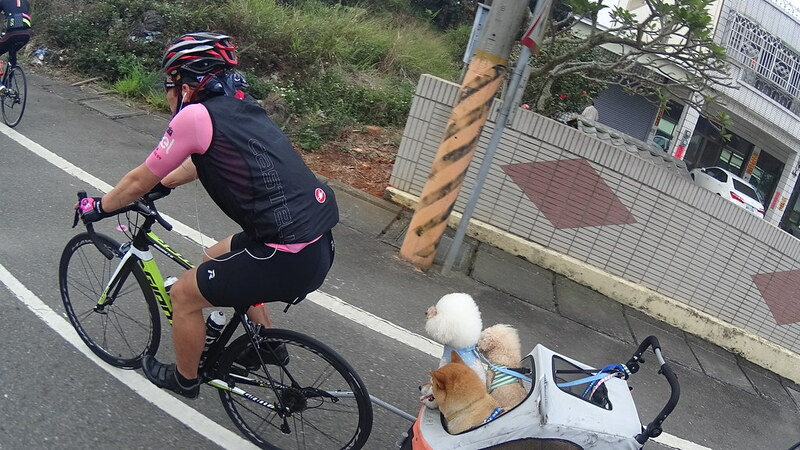 Subscribe below and Get Newest Post Email Updates! 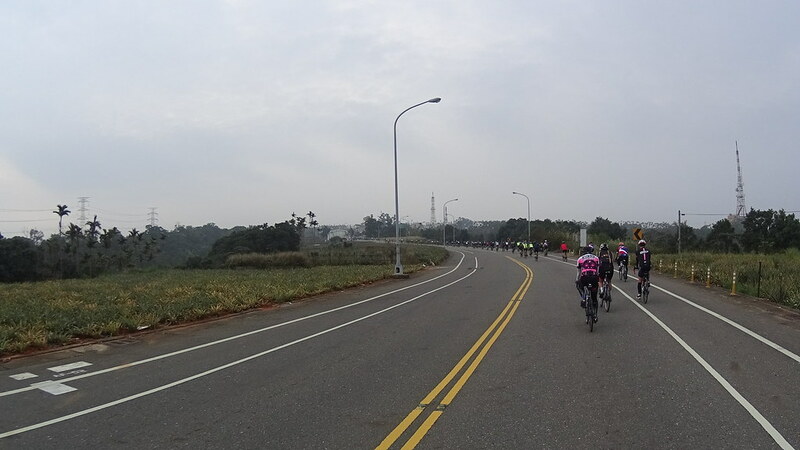 Starting Location: YuanLin’s southern looped road. 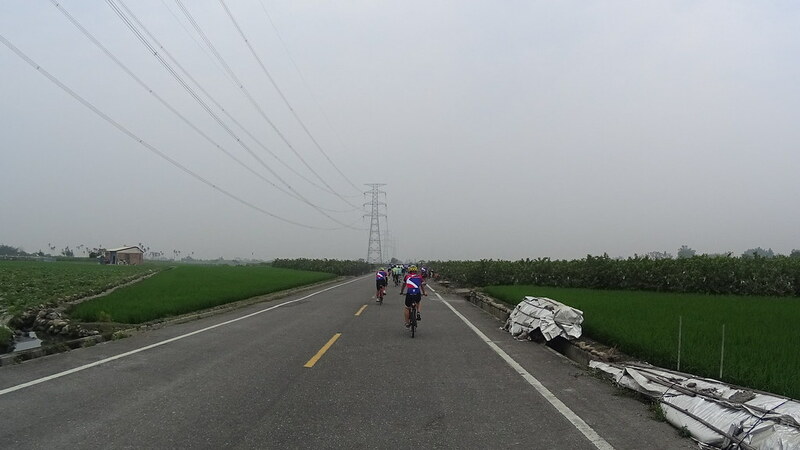 Length: 113 km. 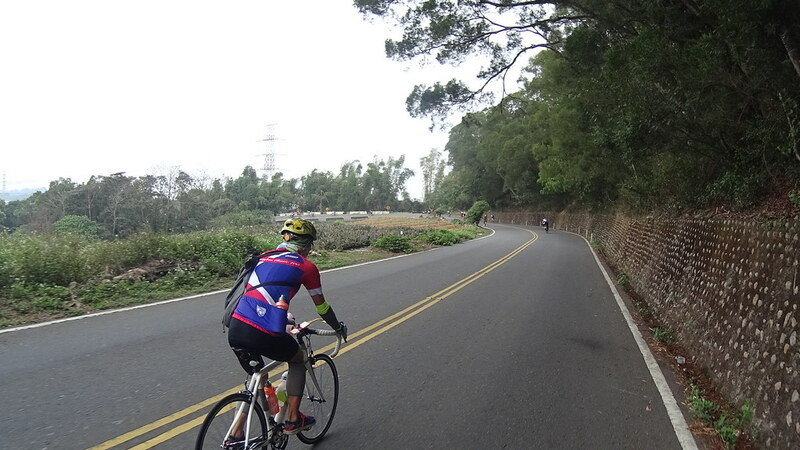 Elevation gain: ~ 400 m.
Good for: Easy base training. 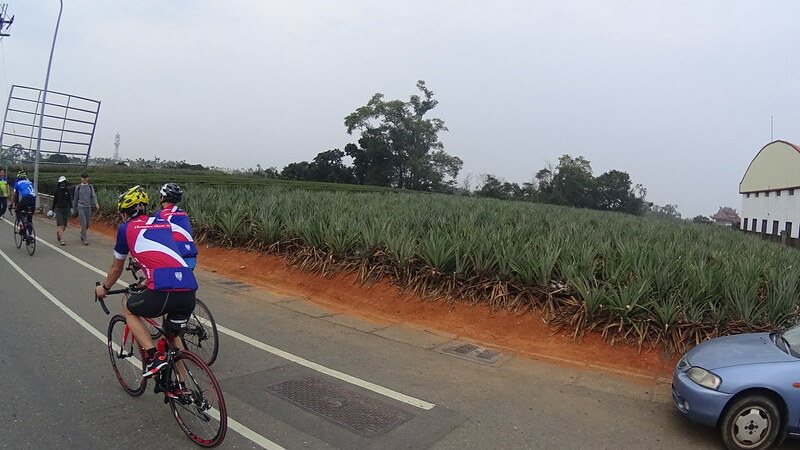 Other fruit plantation (pineapple and guava). 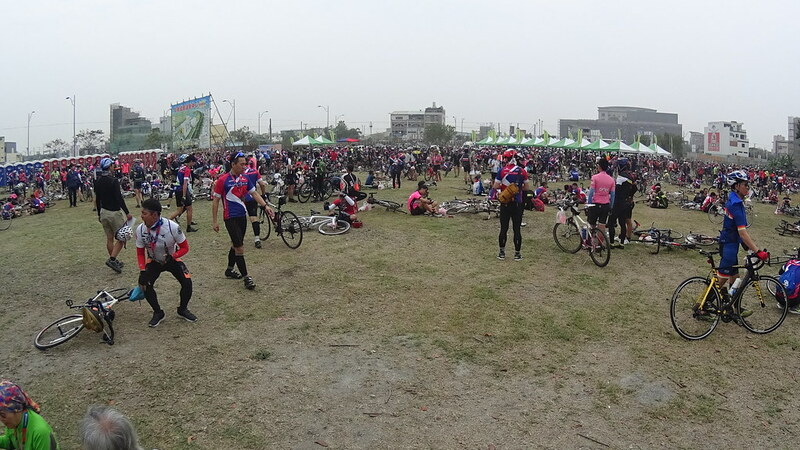 Super long waiting line. 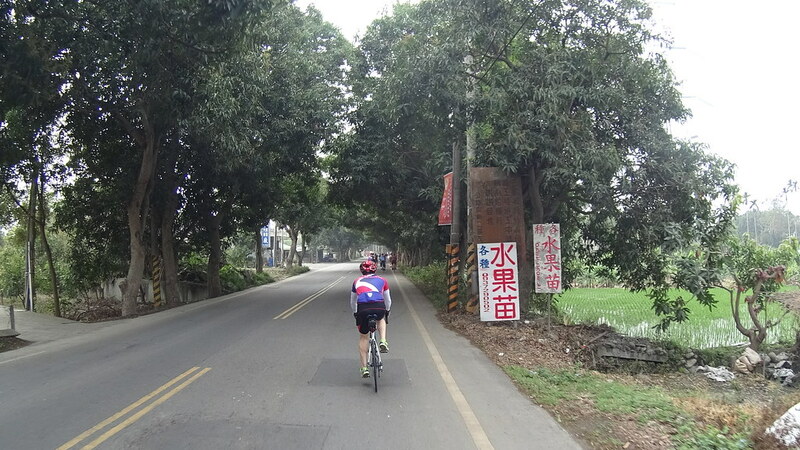 Keep in mind this is a 4-lane road. 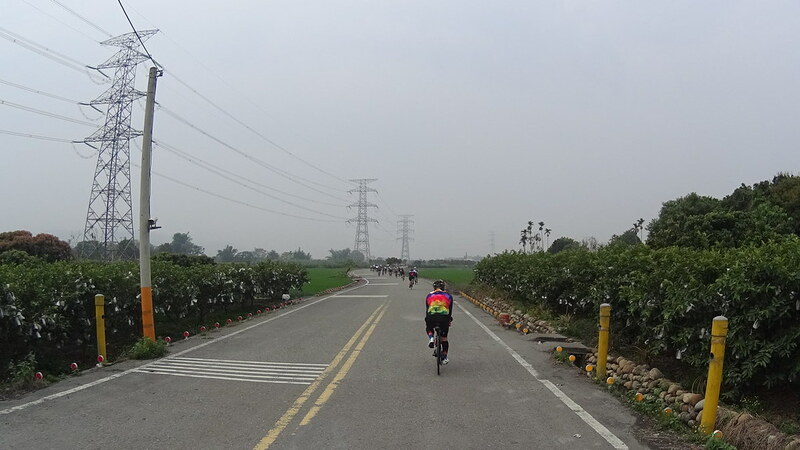 The route first started at YuanLin’s 員林 southern looped road. 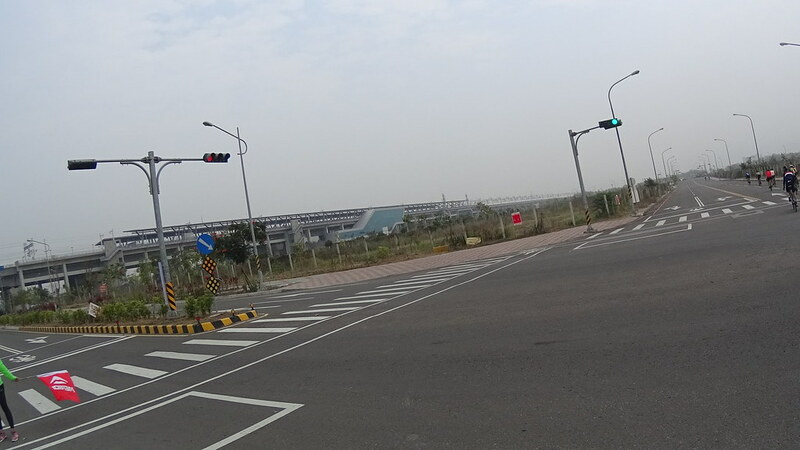 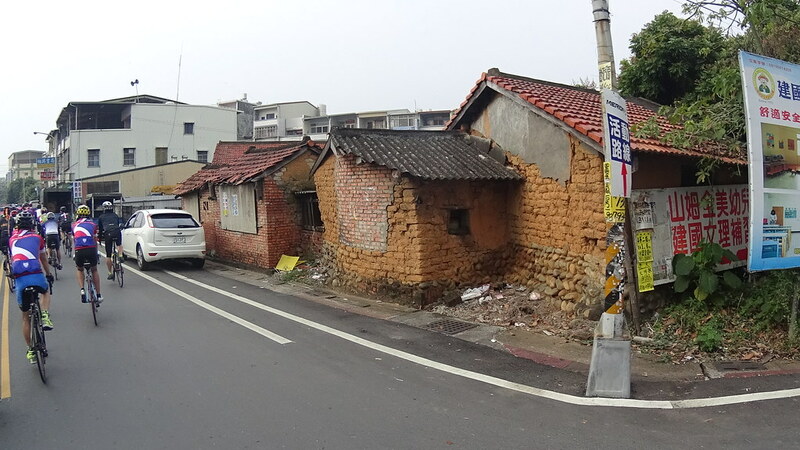 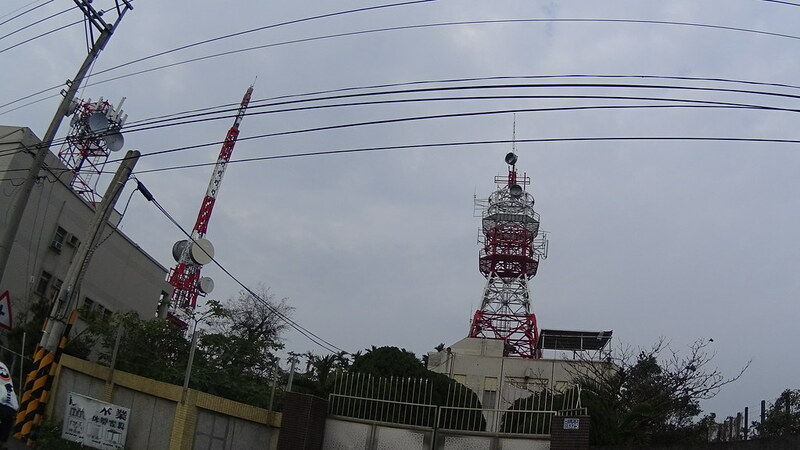 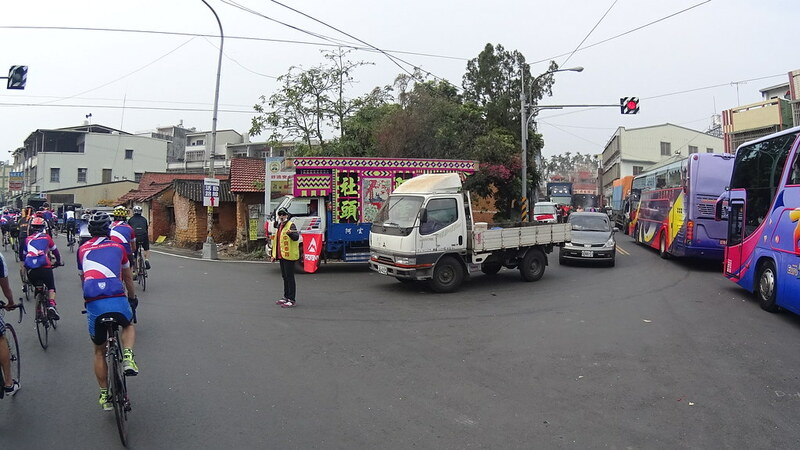 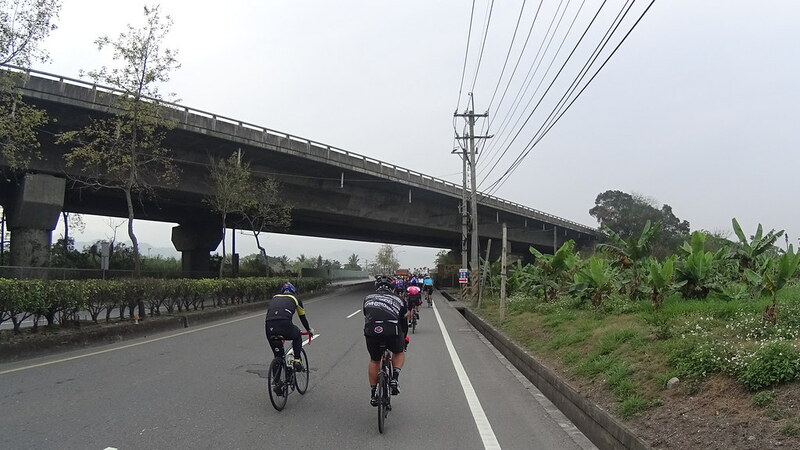 It traveled through a major State #1 highway with many factories at roadsides, and headed onto the Expressway #74 Jia (74 快速道路) that connected ChangHua to TaiChung. 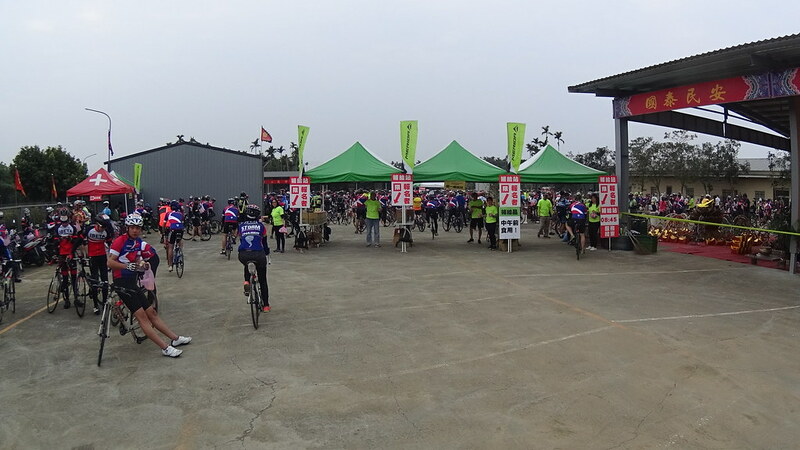 At “rural” counties like ChangHua, there was still this VIP speech at the beginning of ride event which not a rider cared a bit. 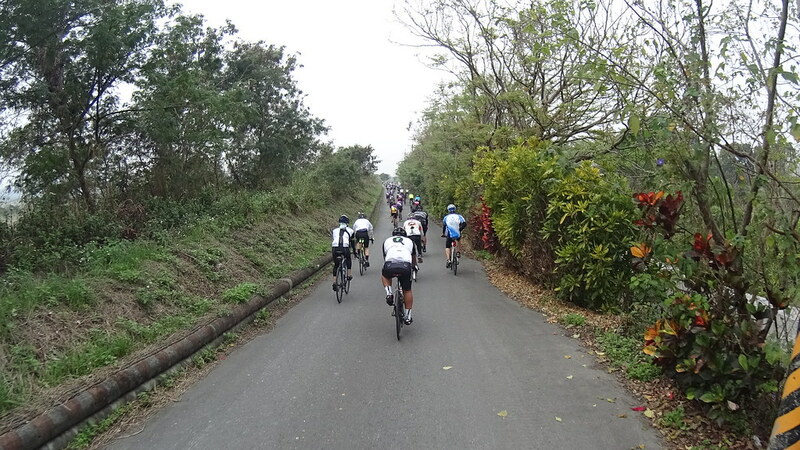 At #74 was the beginning of a nice short climb. 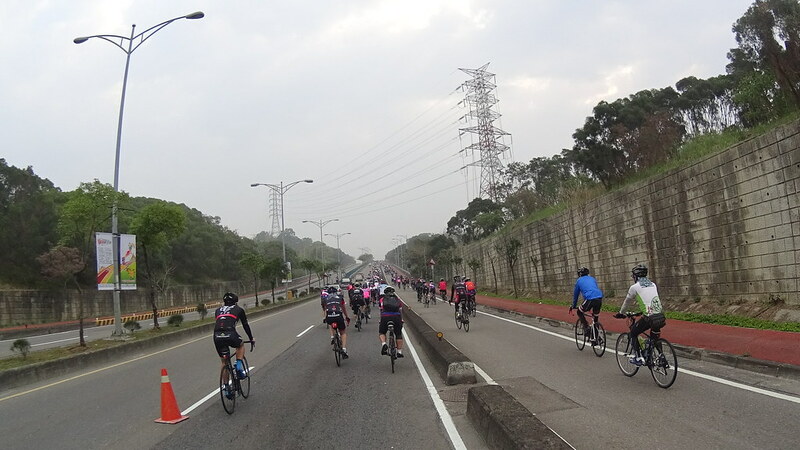 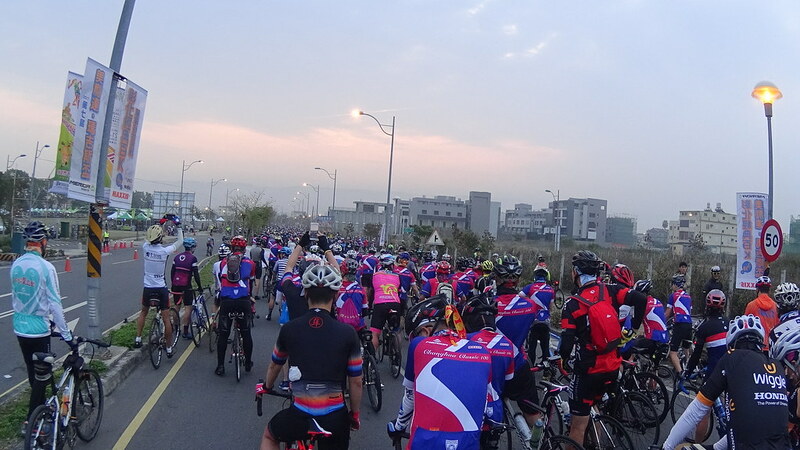 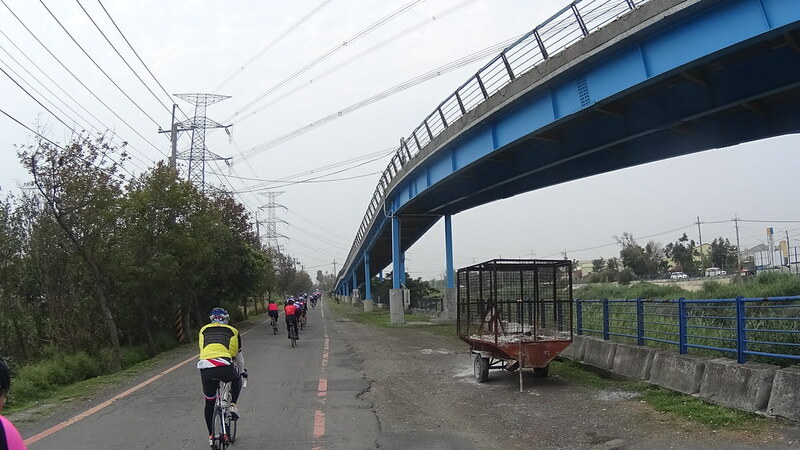 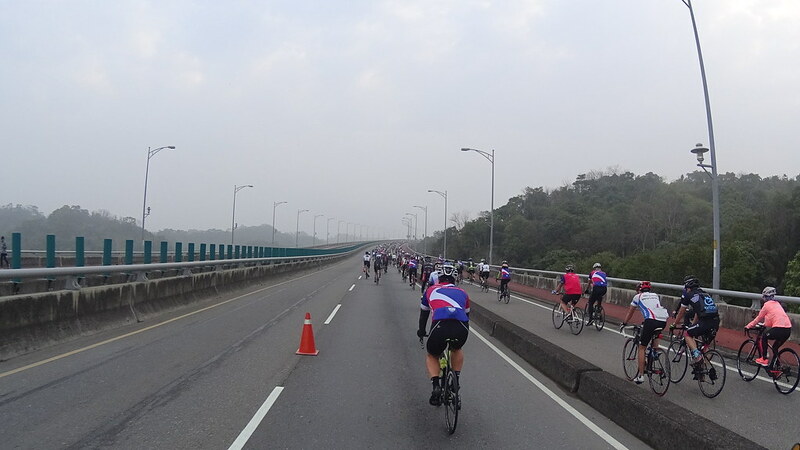 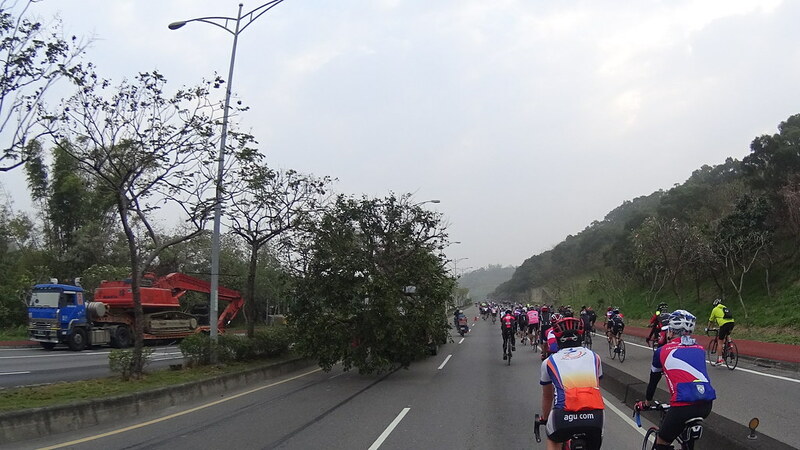 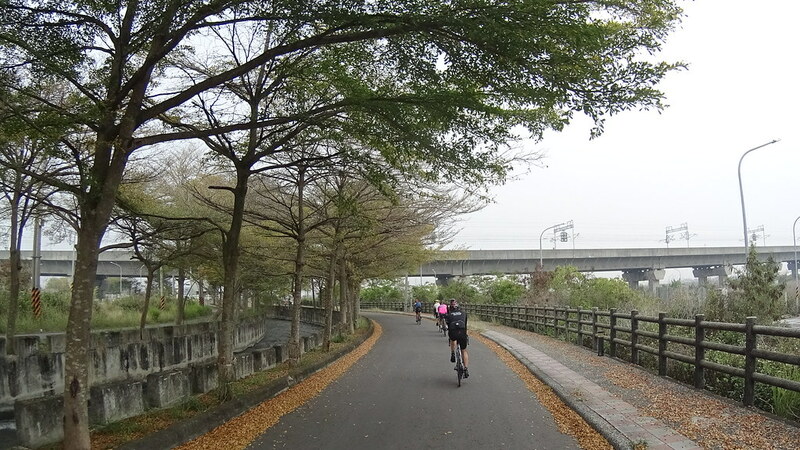 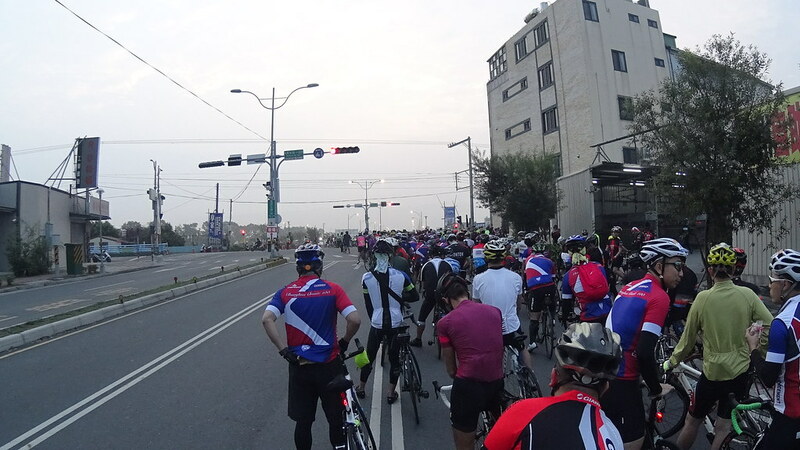 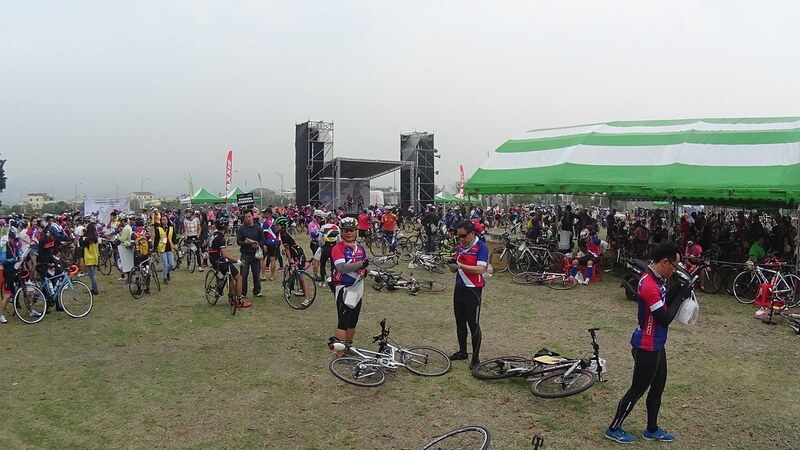 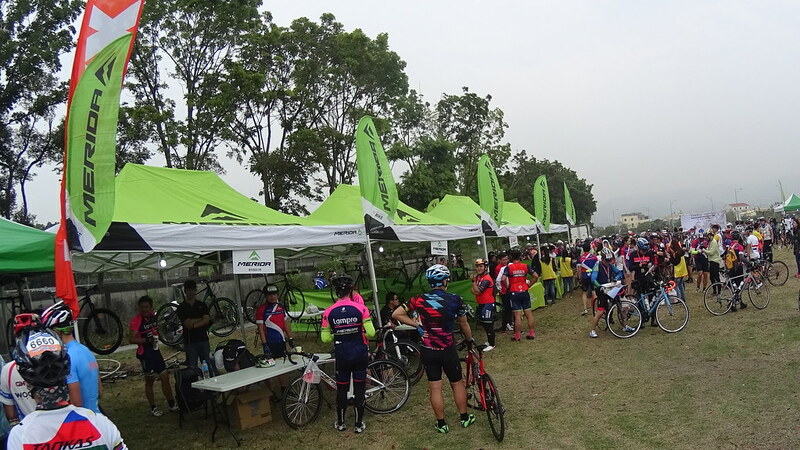 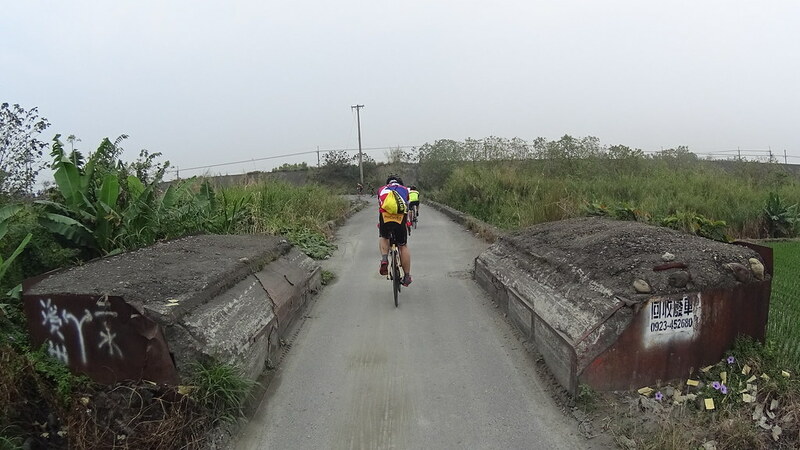 It was a popular cycling route connecting ChangHua to TaiChung. 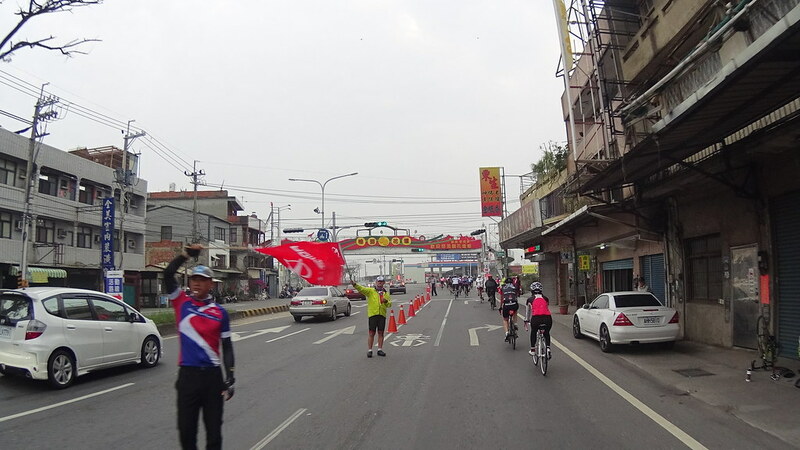 Usually we can ride only at the scooter lane, but at this event we had the chance to ride one of the car lanes in the middle. 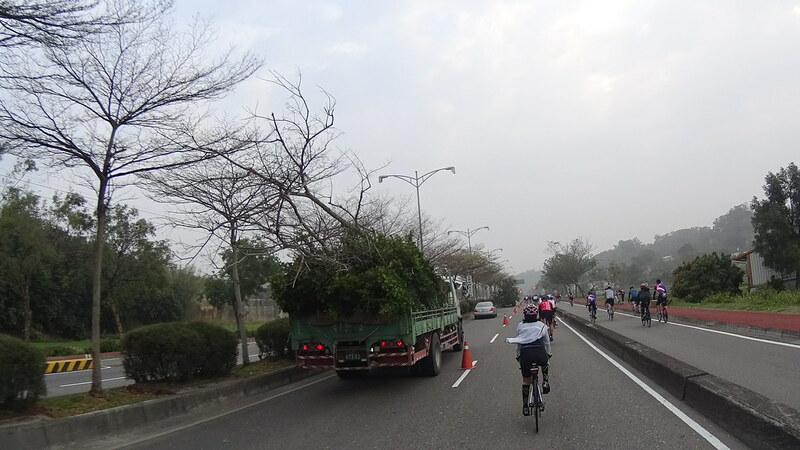 The other tree-carrying truck doing the same thing. 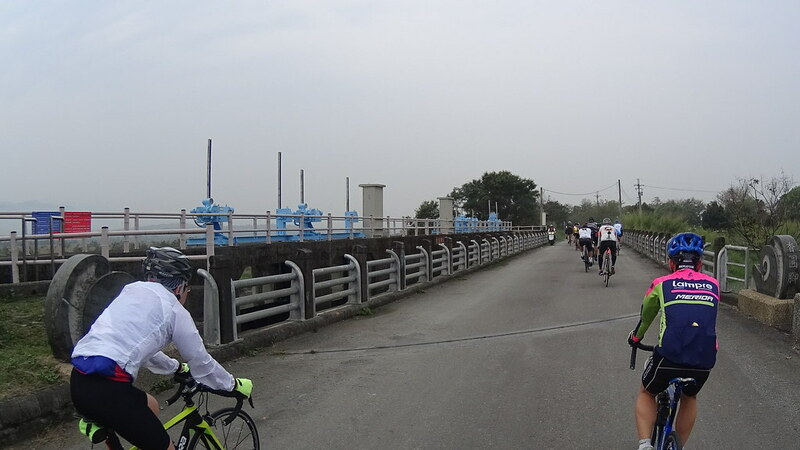 At about the top of Expressway #74 we turned to County #139, THE cycling route in ChangHua. 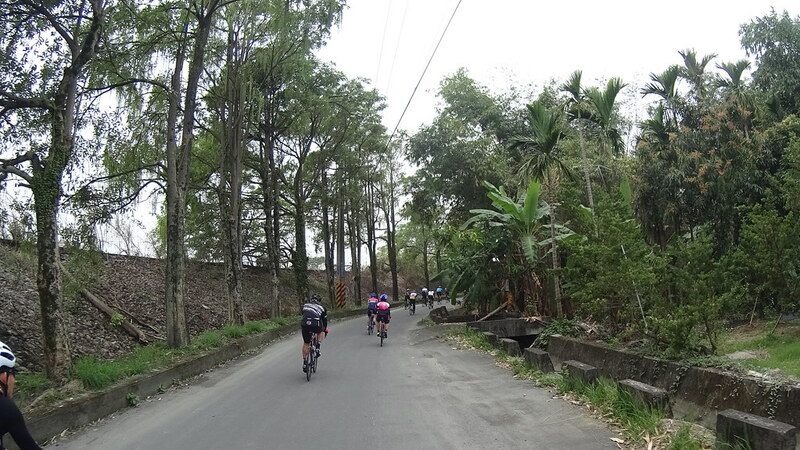 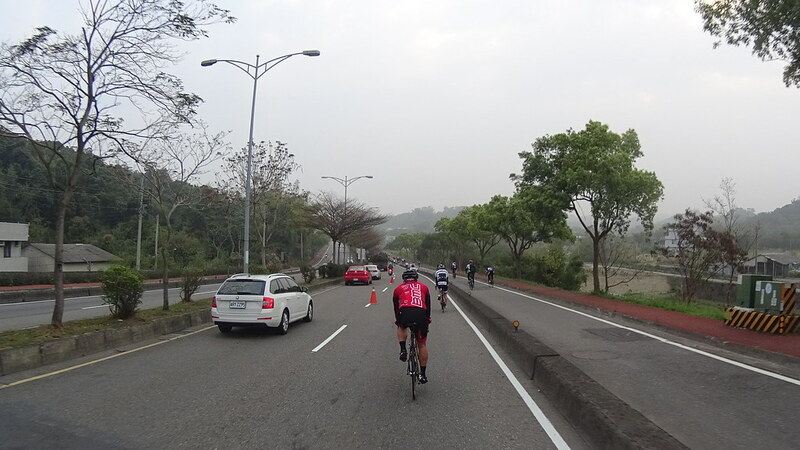 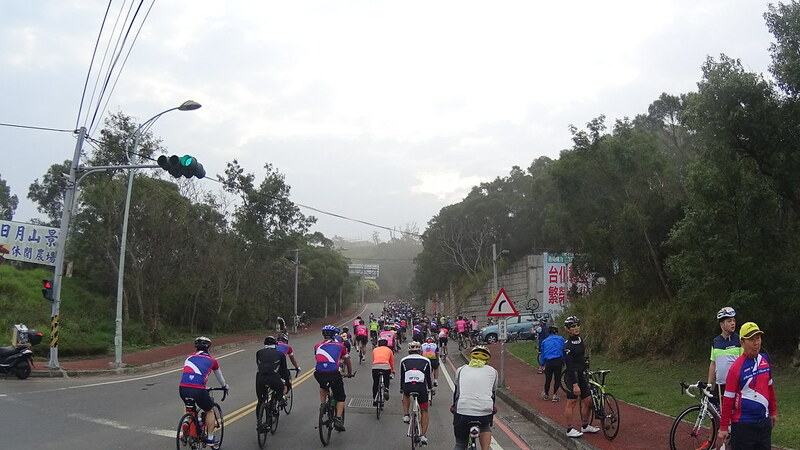 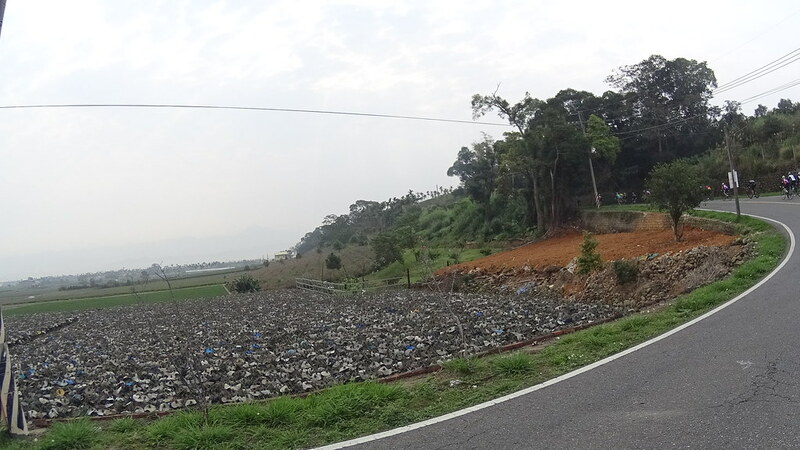 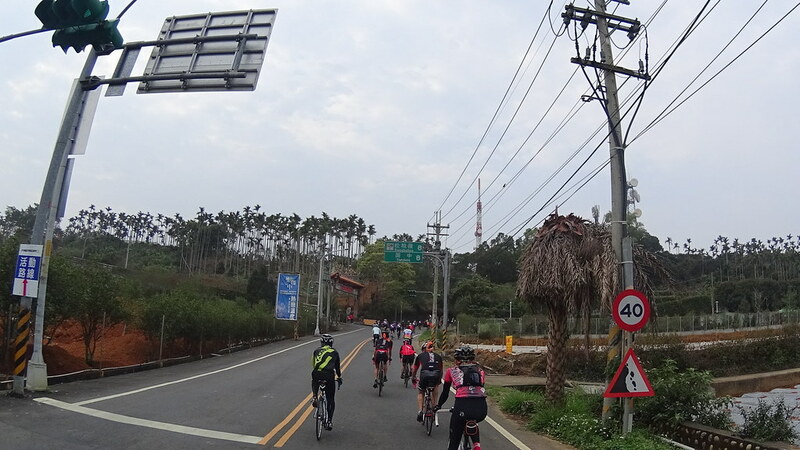 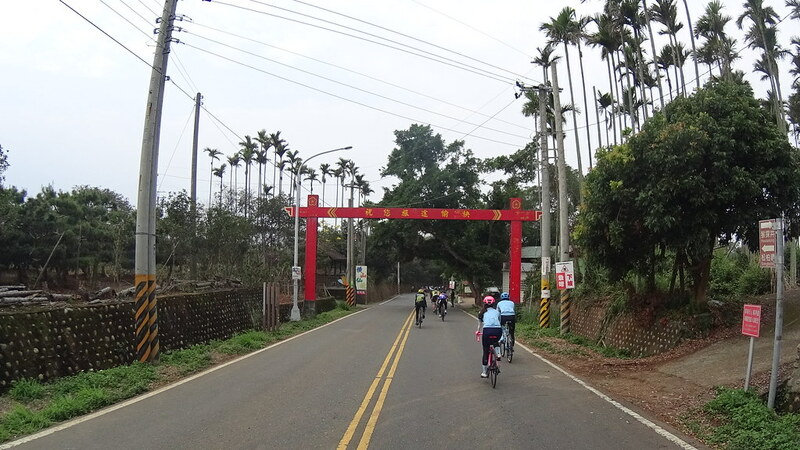 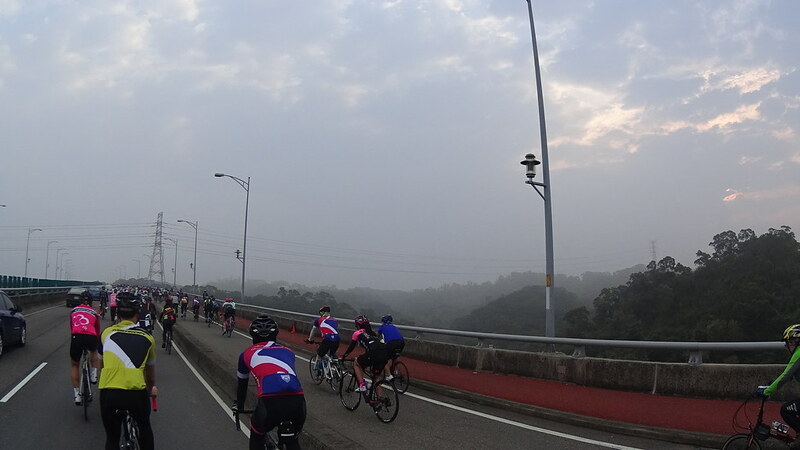 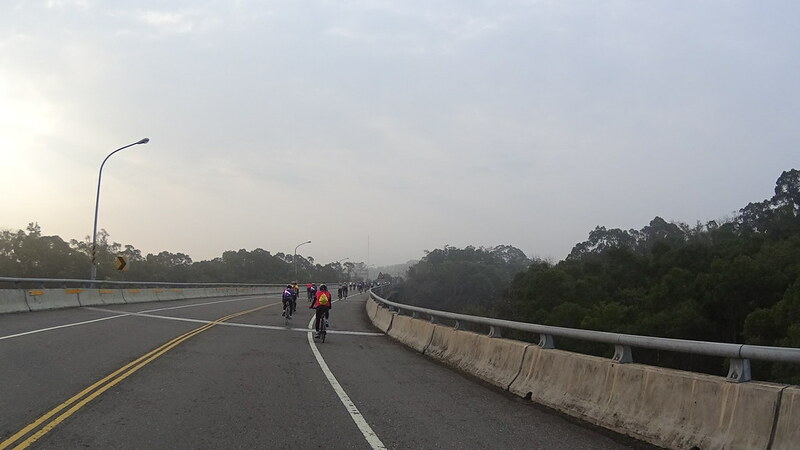 A nice hilly route through ChangHua and Nantou, it was super popular for weekend rides, both cyclists and motorists. 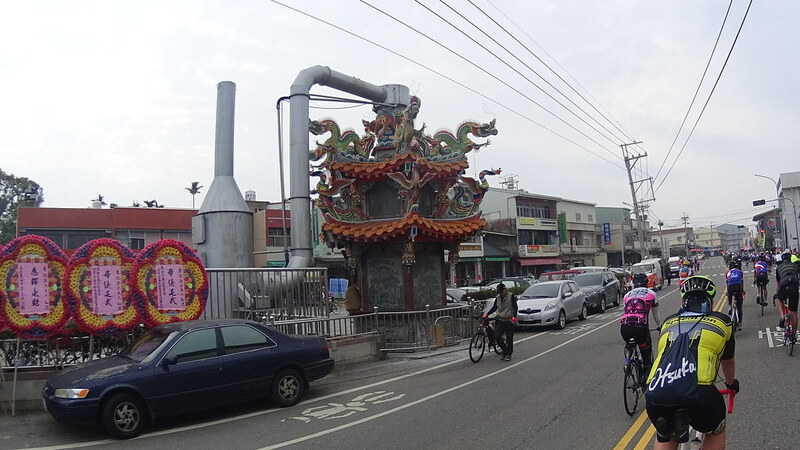 Modernized offering paper 金紙 burning furnace. 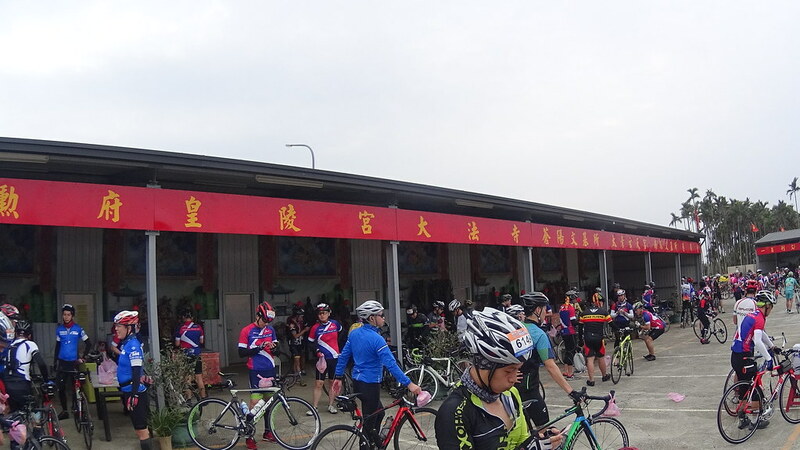 This place was the FongShan Temple 鳳山寺, the most popular ride destination on #139. 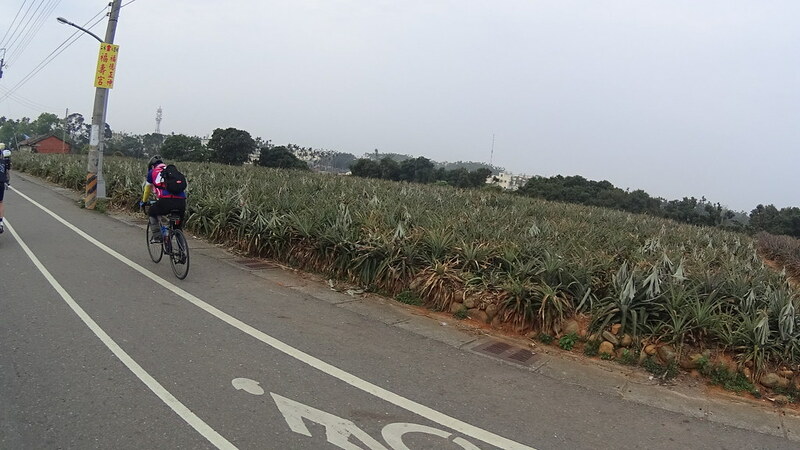 Sunny Hill 微熱山丘, a famous pineapple cake store in ChangHua. 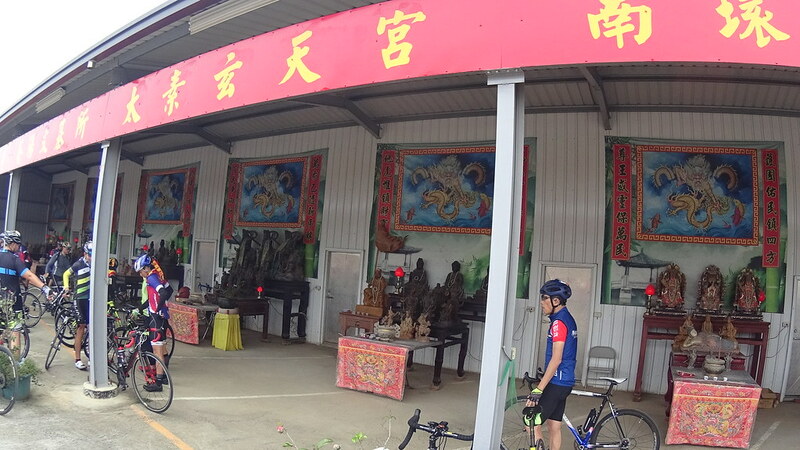 First rest stop, an interesting place with lines of temples at sides. 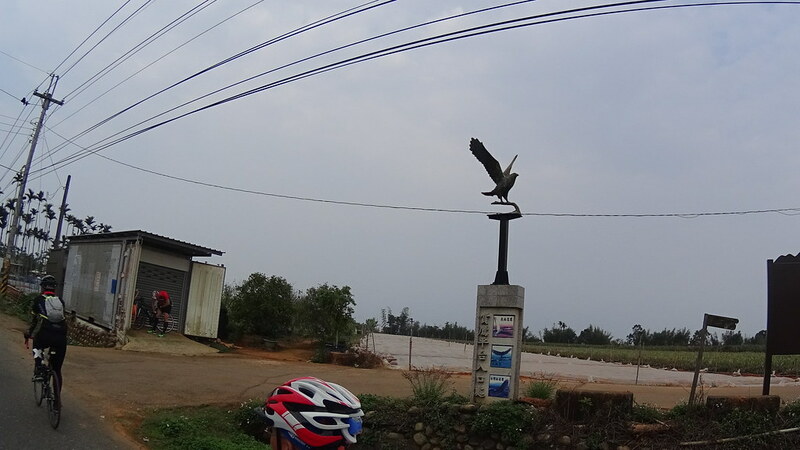 #139 has a place for eagle watching. 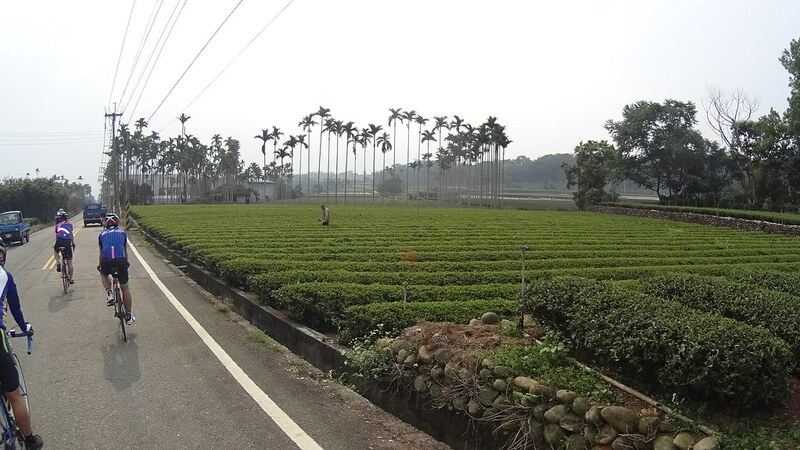 Tea fields. 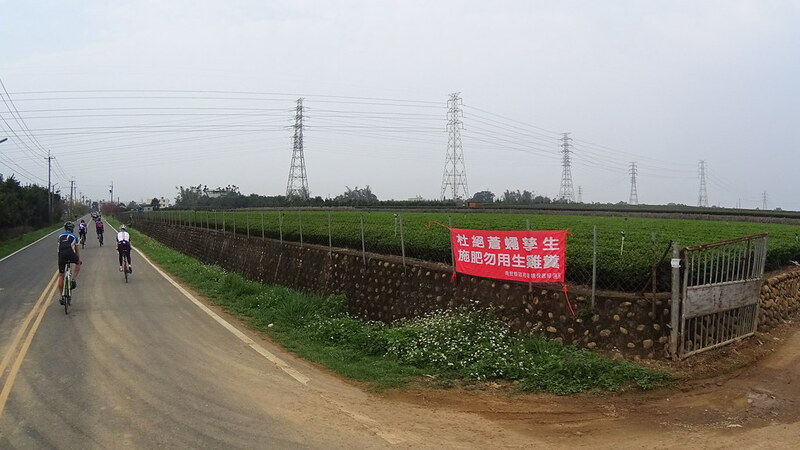 Here at Nantou there were many low-attitude (~400 m elevation) tea fields for lower-price tea beverages. 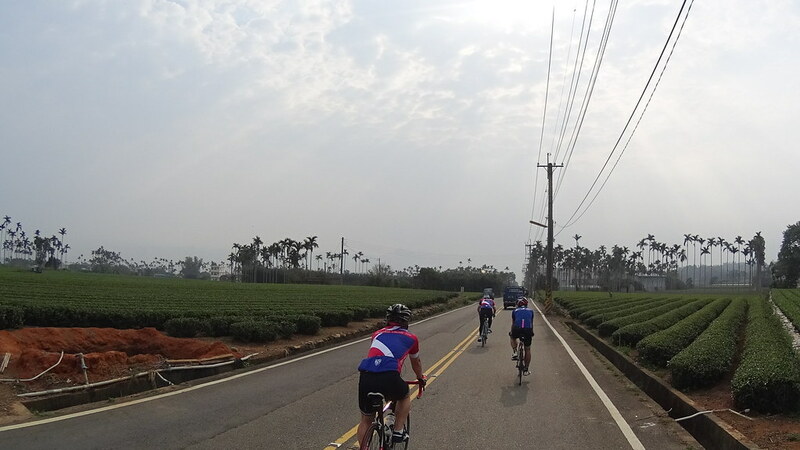 The higher the field elevation, the higher the tea’s price. 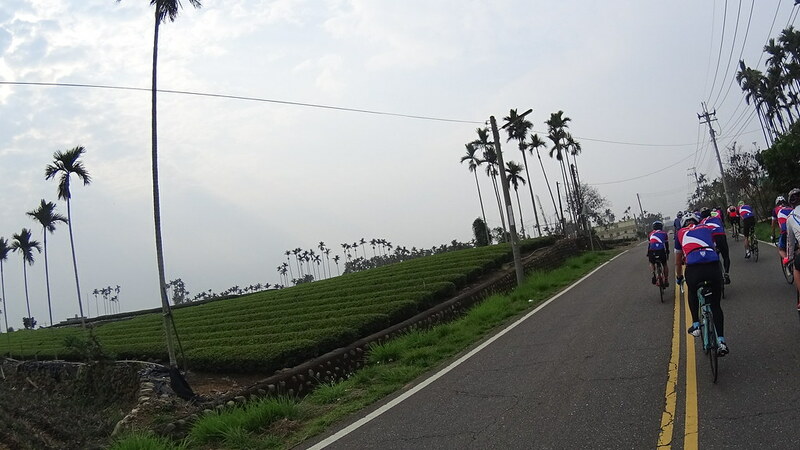 At some point we turned left to a local road through many more tea fields, and descended down. 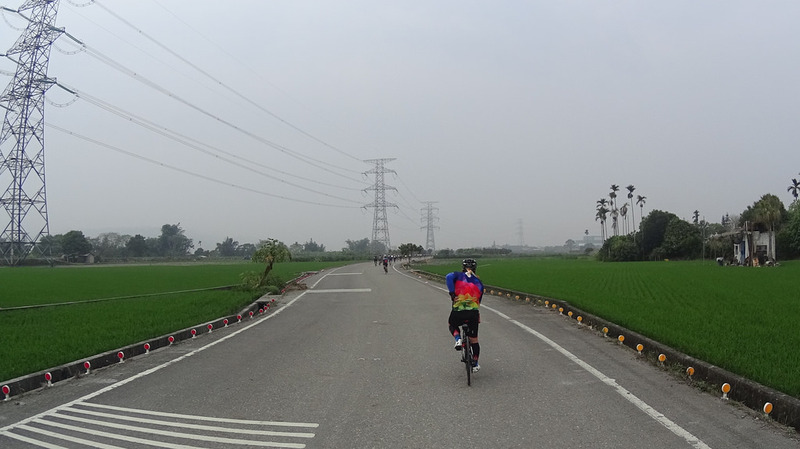 After descending the route road through ChangHua’s many rice/fruit fields at its flat plain. 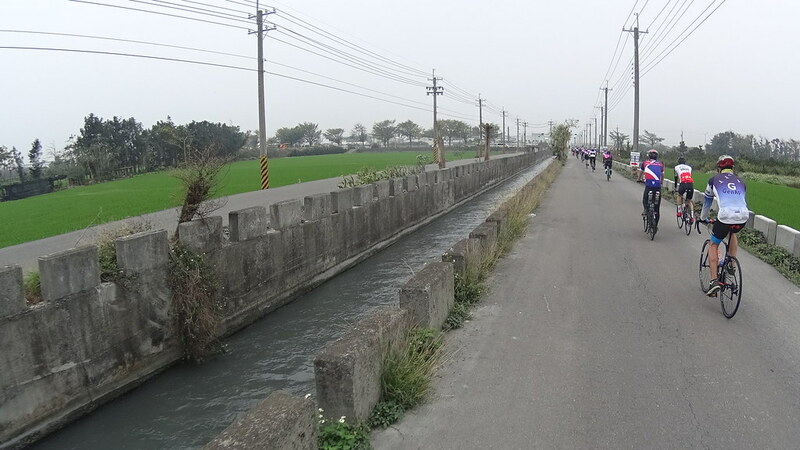 Water gates are important to ensure enough agricultural water supply. 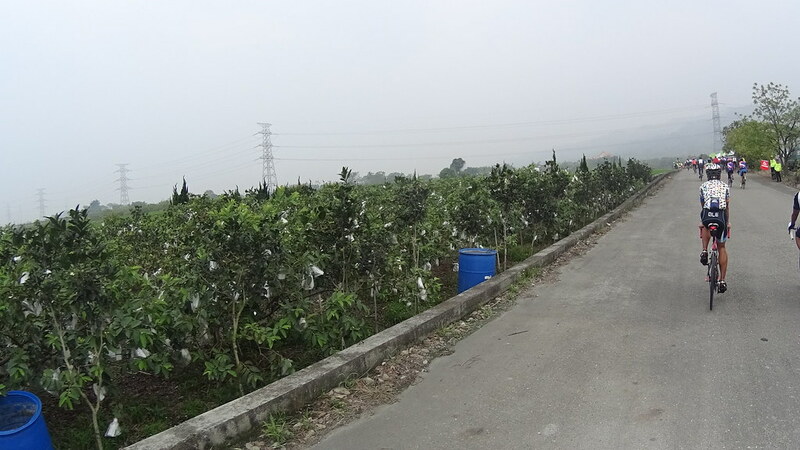 Guava inside white paper bags for protection. 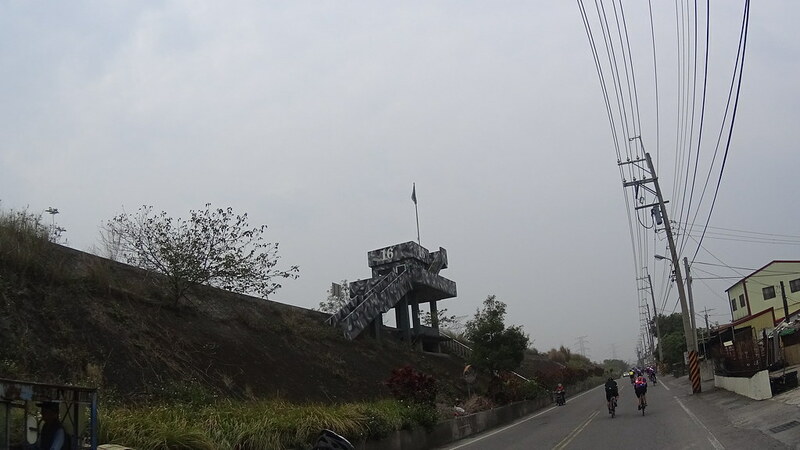 Some sort of military outpost? 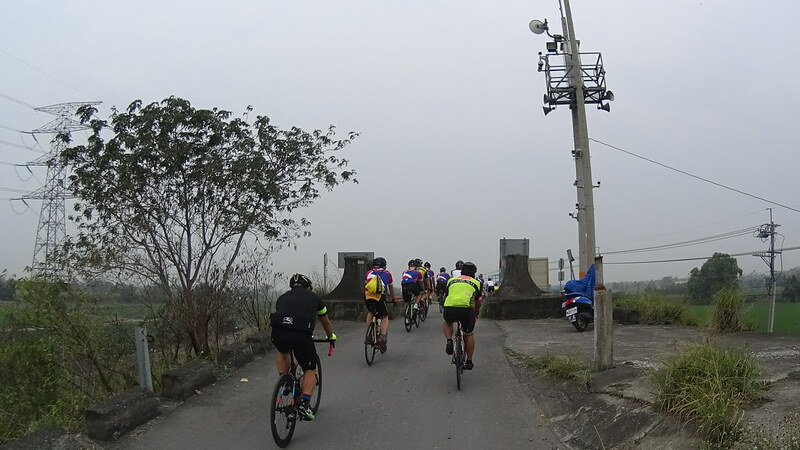 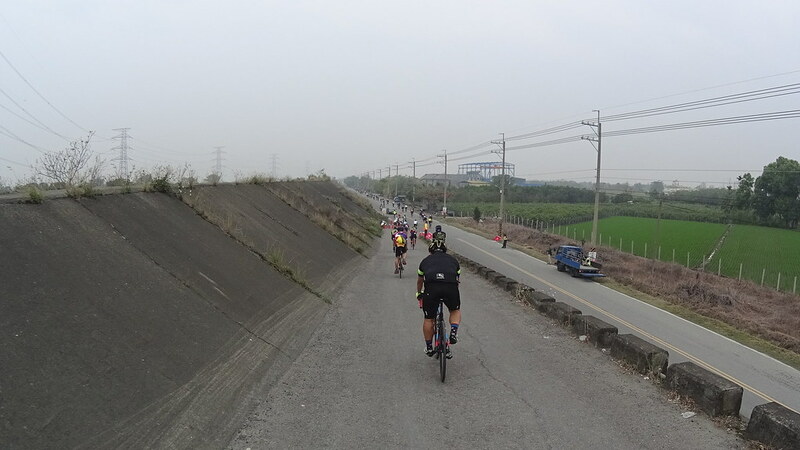 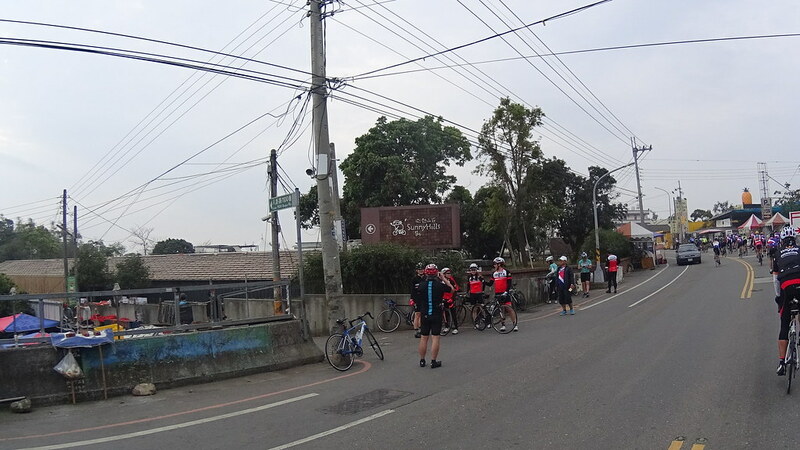 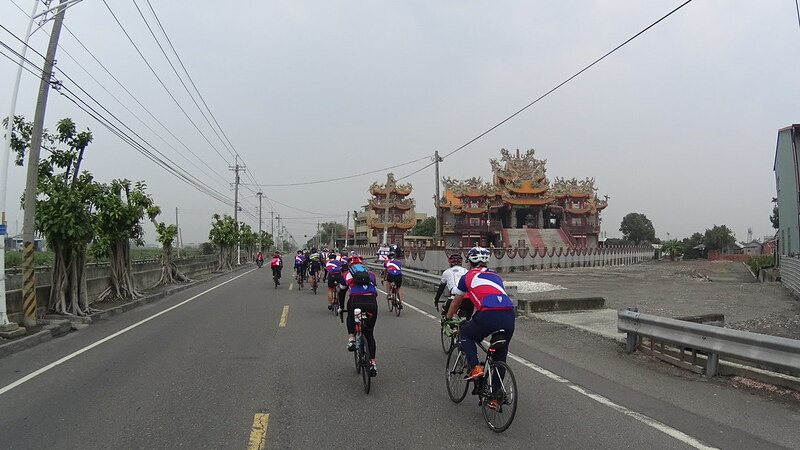 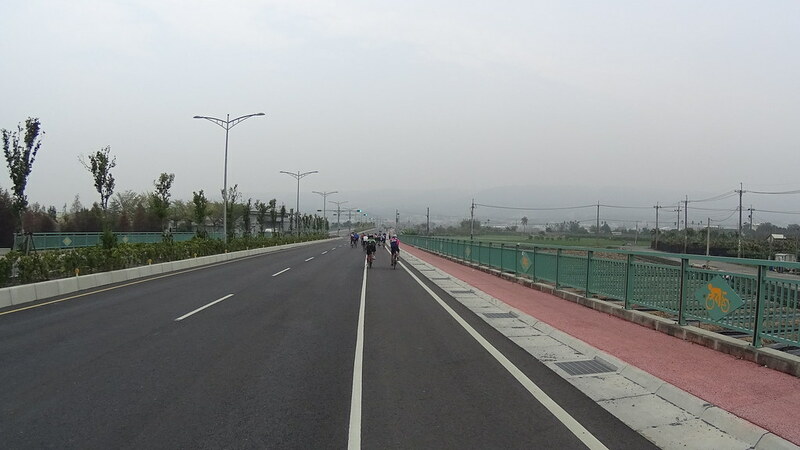 After riding a while through the fields, the route went back on busy industrial/residential roads to head back to the YuanLin main town area. 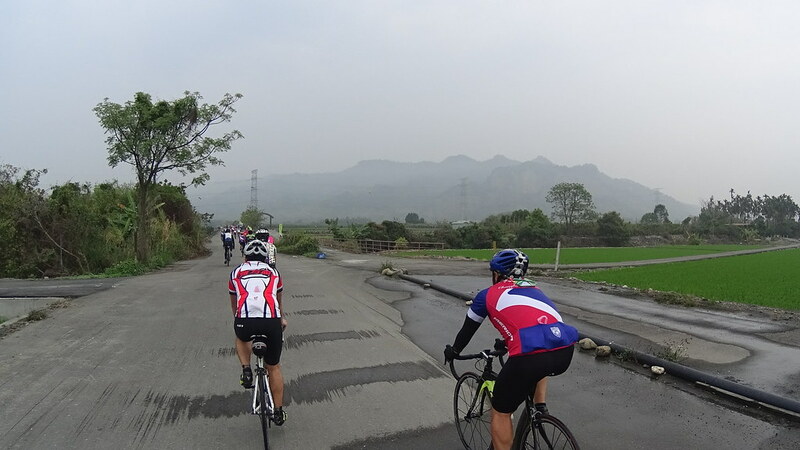 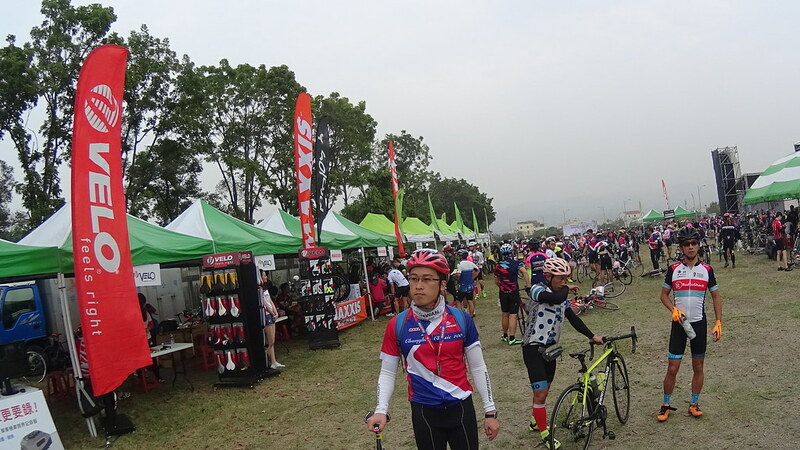 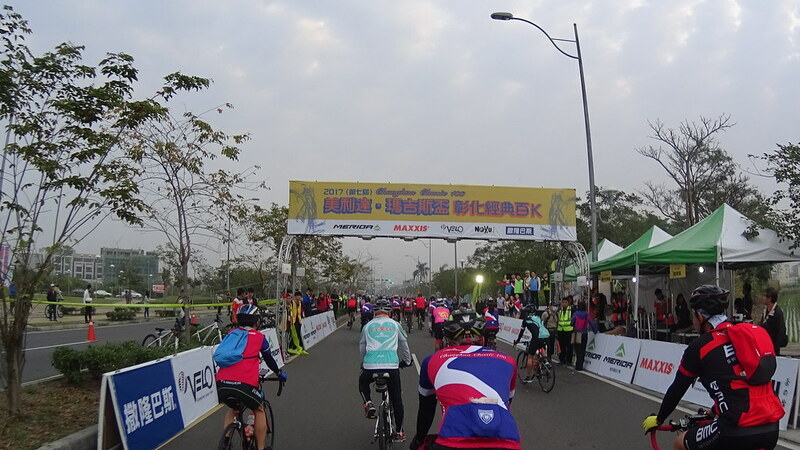 ChangHua Classic is well planned ride with decent scenery. 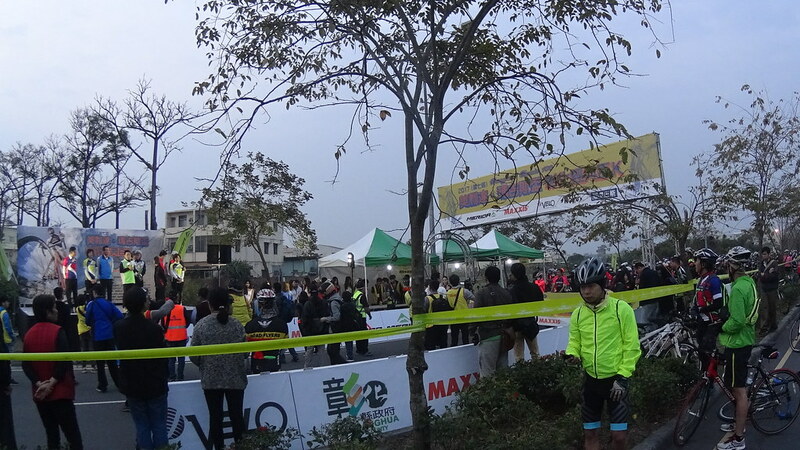 Yet too many people.